On June 22, 2016, Delaware Governor Markell signed into law House Bill No.372, House Bill No. 367, and House Bill No. 368. House Bill No. 372 amends the Delaware Limited Liability Company Act (Delaware Code, Title 6, Chapter 18, Sections 18-101 to 18-1109). House Bill No. 367 amends the Delaware Revised Uniform Limited Partnership Act (Delaware Code, Title 6, Chapter 17, Sections 17-101 to 17-1111). House Bill No. 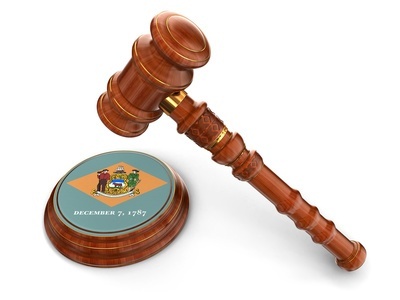 368 amends the Delaware Revised Uniform Partnership Act (Delaware Code, Title 6, Chapter 5, Sections 15-101-15-1210). Section number citations refer to sections in these Acts. The amendatory legislation will become effective on August 1, 2016. Sections 18-105 and 17-105 are amended to include provisions for service of process on domestic series limited liability companies and series limited partnerships. Sections 18-105(a) and 17-105(a) provide that If service of process is made upon the Delaware registered agent of a series limited liability company/limited partnership, such process shall include the name of the entity and the name of such series. Sections 18-105(b) and 17-105(b) add provisions for service of legal process upon the Secretary of State for series limited liability companies/series limited partnerships when service cannot be made by Section 18 -105(a)/17-105(a). If service of legal process is made upon the Secretary of State, such process shall include the name of the entity and the name of such series. Sections 18-215(b) and 17-218(b) are amended to state that neither the preceding sentence in Section 18-215(b) or Section 17-218(b) (relating to provisions concerning treatment of enforcement of debts, liabilities, obligations, expenses incurred, contracted for, or otherwise existing against the assets of a series), nor any provision thereto in an agreement or Certificate of Formation/Certificate of Limited Partnership shall (1) restrict a series or limited liability company, series or limited partnership, on behalf of such series, or a general partner associated with a series, from agreeing to be liable for debts, liabilities, obligations and expenses incurred, contracted for or otherwise existing with respect to the entity or series or (2) restrict the entity or a general partner from agreeing to be liable for debts, liabilities, obligations and expenses incurred, contracted for or otherwise existing with respect to a series. As used in these Acts, a reference to assets of a series includes assets associated with a series and a reference to assets associated with the series includes assets of a series. Sections in the Limited Liability Company Act and Revised Uniform Limited Partnership Act are amended to remove the requirement for written consent in certain actions, thus permitting utilization of other methods of approval. Sections 18-302(d),18-404 (d), 17-302(e) and 17-405(d) are amended to provide that unless otherwise provided in the limited liability company/partnership agreement on any matter that is to be voted on, consented to or approved by members/managers/limited/general partners, action may be taken without a meeting, without prior notice and without a vote if consented to or approved in writing by electronic transmission or by any other means permitted by law, by members/managers/limited partners/general partners having not less than the minimum number of votes that would be necessary to authorize or take such action at a meeting by which all entitled to vote thereon were present and voted. Section 15-407 is amended to provide that partners may take action without a meeting, without prior notice and without a vote if consented to or approved in writing, by electronic transmission or by any other means permitted by law.